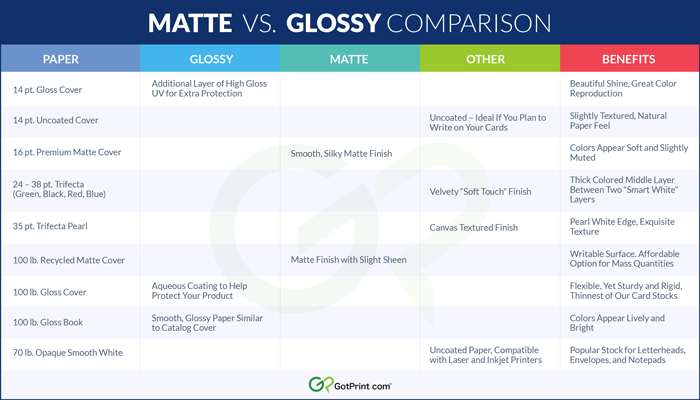 Glossy vs. Matte Cards – Which Finish is Better for Your Prints? Surprisingly, the same clay-based coating is used to create both glossy and matte paper stocks – it’s the application process and amount of coating that varies depending on the desired finish. Because uncoated paper is naturally porous, the coating helps fill in the pores and reduces the amount of ink that is absorbed into the paper during the printing process. Not only is the resulting paper more durable, it feels smoother and colors look richer and brighter. Matte paper uses less coating and undergoes less polishing than glossy paper. 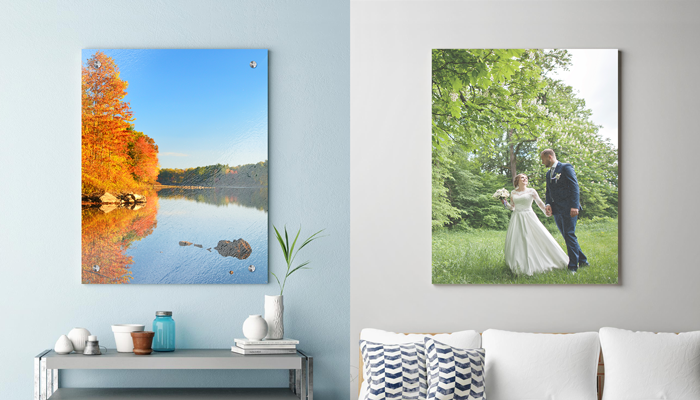 As a general rule of thumb, a gloss coating will give your photos and printed products an exquisite shine, high color saturation, and provide additional protection against stains and damage. A matte coating, on the other hand, will give your photos and prints an overall subdued appearance with softer colors and a slight sheen. Whether you decide to go with a matte finish or a glossy finish will ultimately depend on personal preference and/or brand aesthetic, but there are some practical considerations to keep in mind as well. Read on for our tips and recommendations on how to choose the best finish for some of our most popular print products! 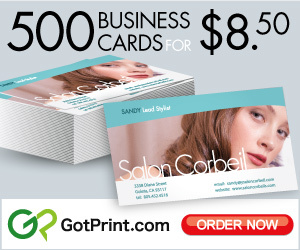 When it comes to business cards, our 14 pt. gloss cover stock is by far the customer favorite. The gloss coating offers extra protection from damage and will give bright solid colors a beautifully lustrous appearance. A glossy stock is also the paper of choice for most photo business cards, as headshots and portfolio images will look polished and elegant. 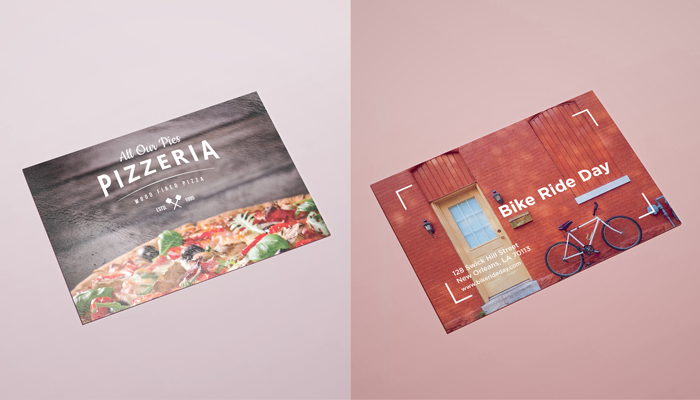 Whether to print your postcards on glossy or matte paper will depend on many factors, including your card design and reason for mailing. If you are promoting a real estate business or restaurant, a glossy finish can help your photos look flawless and compelling. 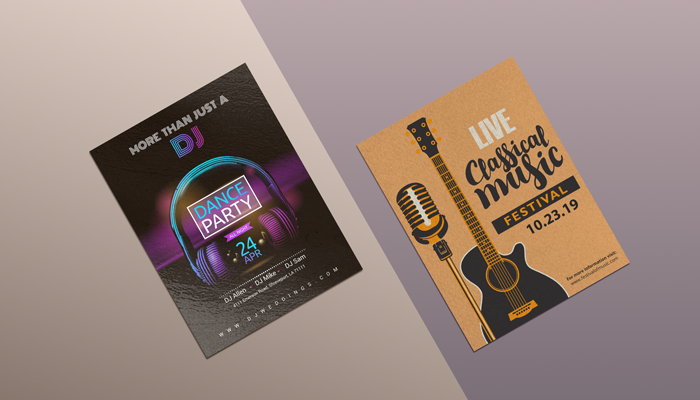 Similarly, if your postcard is advertising a significant event such as a grand opening or clearance sale, a glossy finish will provide greater contrast between colors for a more dazzling result. For personal-use postcards including travel postcards, save the dates, and holiday cards, many people prefer to print on matte paper for a cozier feel (plus the matte coating is easier to write on). A glossy stock is a great default option for professional quality brochures that inspire people to take action! For example, a travel agency or catering company that understands the power of gleaming, highly-saturated photos may prefer glossy brochures to sell their products or services. Although matte brochures are not as common, there are times when a dull finish might be more appropriate. 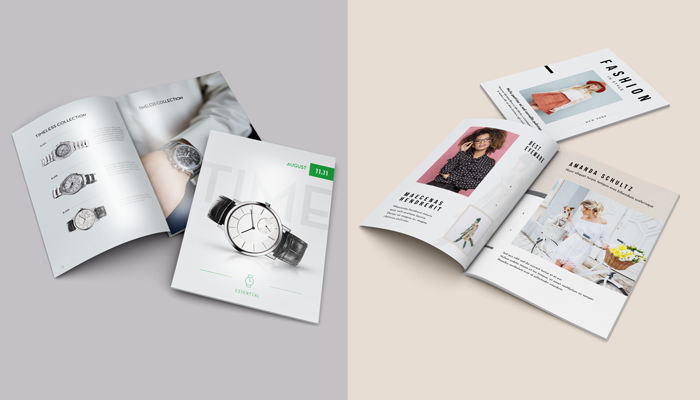 If your brochure design revolves around bold typography or infographics rather than pictures, a matte finish will be more fitting for the end product. Additionally, some institutions such as history museums or prestigious universities may find non-glossy paper to be more aligned with the serious nature of their industries. Both glossy and matte paper stocks are well-suited for flyers and posters – as with any other printed product, the best option will largely depend on the design and the purpose. A glossy poster is festive and hard-to-miss, making it an ideal choice for retail stores, clubs, concert venues, and outdoor advertisements. A matte finish is the perfect complement to a more muted color palette or a design that incorporates retro elements such as a rustic background image and old-world fonts. If you are printing a large poster to display in a sunny or a brightly-lit environment, a matte finish will be easier to view behind a glass frame. However, if you prefer the look of a glossy poster, you can purchase an anti-reflective glass frame, which helps diffuse light that is shining onto the print. 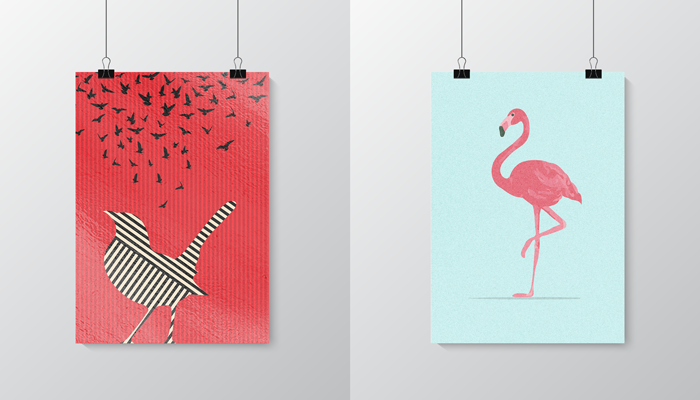 Many artists and illustrators consider matte paper to be the ideal canvas for their prints, as there is little risk of unwanted glare to interfere with how the imagery is perceived. Matte paper also has a more organic texture and appearance, so the resulting artwork appears more high-end rather than mass-produced. Of course, there are always exceptions! Some artists may prefer a glossy stock for contemporary, brightly colored pieces (think Andy Warhol) in which light reflection can have a radiant and striking effect on their artwork. Both glossy and matte finishes have their benefits for standard photo prints. Glossy paper is exceptional at displaying vibrant high-definition photos, making it a popular choice for commercial or nature photography. A matte finish just won’t capture every detail of a dazzling recently-renovated kitchen or breathtakingly beautiful autumn leaves as clearly as a glossy finish. Wedding, family, and lifestyle photographers tend to prefer a matte finish in order to give their photos a more natural and authentic feel. For large photo prints, especially black-and-white photos, wedding photos, and family portraits, a matte finish is generally recommended. The print will be less prone to dust and fingerprints, and the photo itself will feel warmer and friendlier! 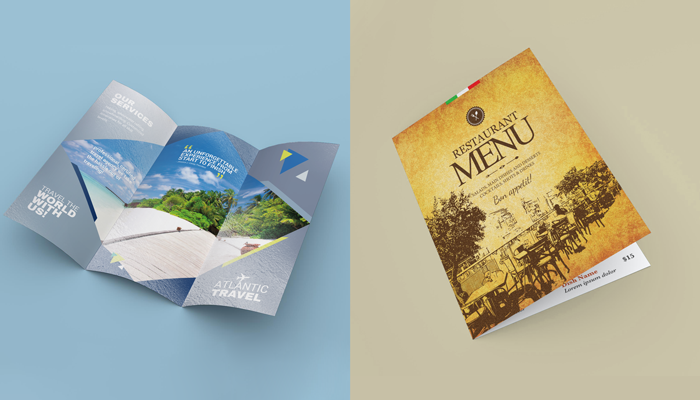 The majority of booklets and catalogs are printed on glossy paper, as the finish can help protect the pages from damage and makes full-color photos appear lively and appealing. A glossy finish is noted for its superb color reproduction qualities, making it the ideal choice for most retail and commercial catalogs that rely on vivid high-resolution images. Some upscale brands consciously choose to print their catalogs on matte paper. A matte catalog filled with dreamy, inspirational images is a great way to capture the overall tone and character of your brand. Also keep in mind that if your catalog includes a great deal of text such as articles or price lists, a matte finish will make the content much easier to read. 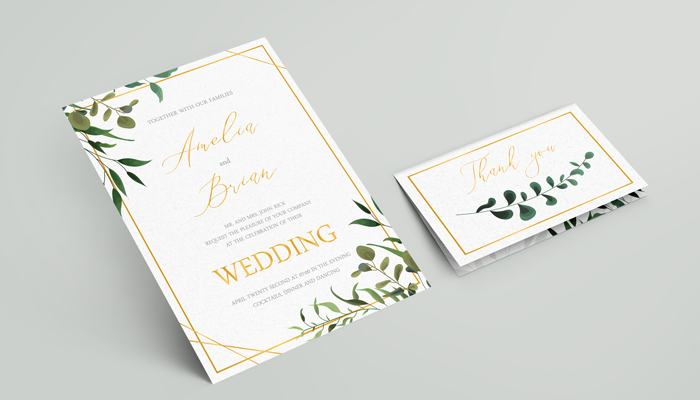 Over the years, matte paper has become the favored option for social stationery such as invitations, announcements, and greeting cards. Not only will your photographs look softer and more inviting when printed on matte paper, the smooth, silky finish will give the impression of a luxury product. For thank you cards and personal stationery, a matte coating ensures that you will be able to write handwritten notes with ease. At GotPrint, we carry a wide variety of premium paper stocks so no matter what you’re printing, you can choose the thickness and coating that’s perfect for your product. Bookmark or save the handy chart above for you to reference each time you place an order on GotPrint.com. 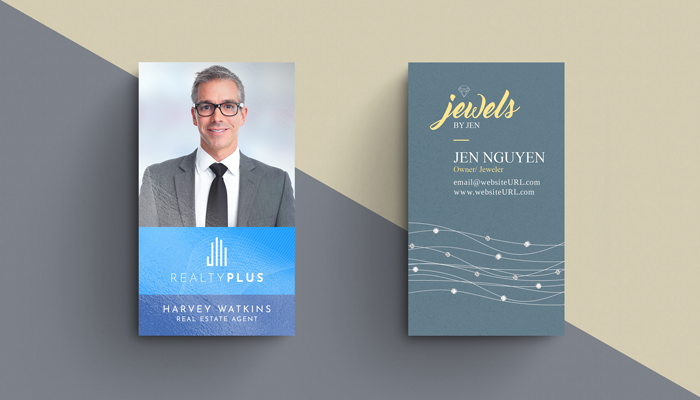 When it comes to glossy vs. matte cardstock, do you have a preference? We’d love to hear from you! Andrea is a Los Angeles-based writer and editor. She's a big fan of dogs, coffee and beautiful typography. It is difficult to make choice from the two of these as both of these designs look amazing. Both are looking so beautiful.